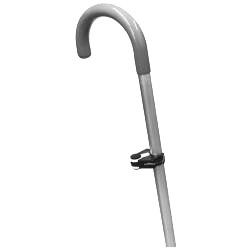 Use it to hang your cane on any table. Just clip it on, slide it up until it contacts the bottom of the table or use it as a well-balanced hanging hook. Holds canes from .62 to 1 inch in diameter.